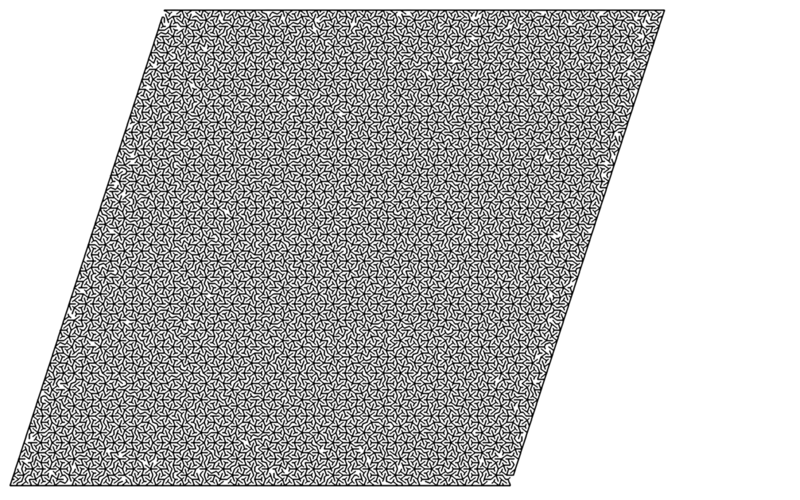 Mazes are typically constructed on regular grids: square, triangular, hexagonal, etc. 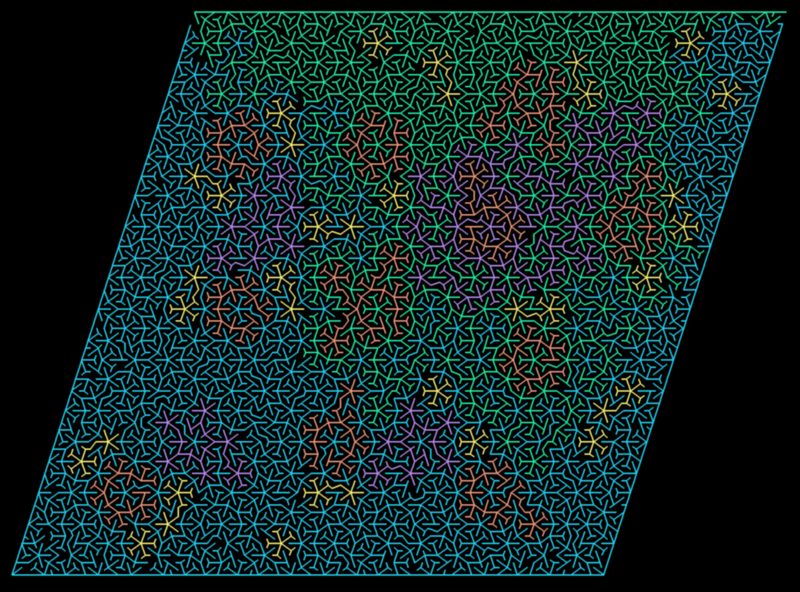 But what if you generate a maze on top of a Penrose tiling, which is guaranteed to be irregular? 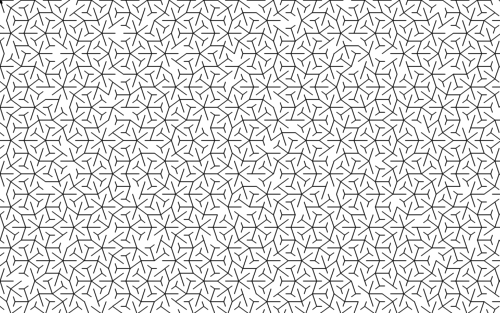 (It is an aperiodic tiling.) 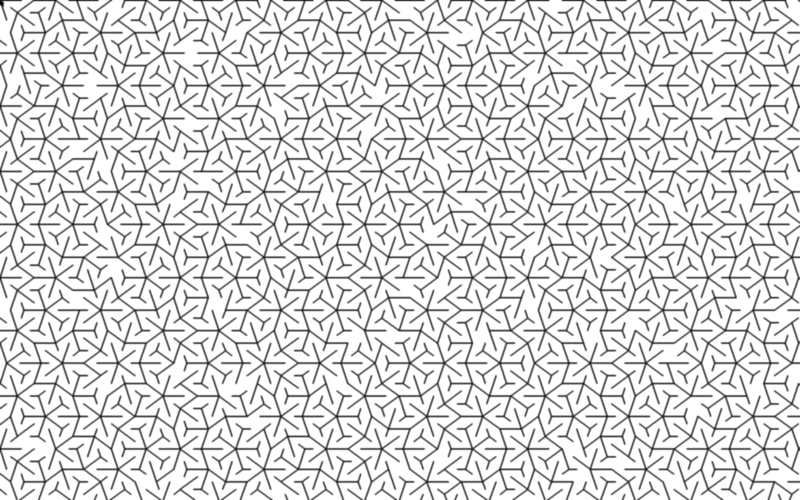 The resulting mazes have a very characteristic appearance: they are filled with circles and stars, but the tiling they are built on guarentees they never repeat exactly. The walls come in ten angles, and I imagine it would be very easy to get lost in such a maze. 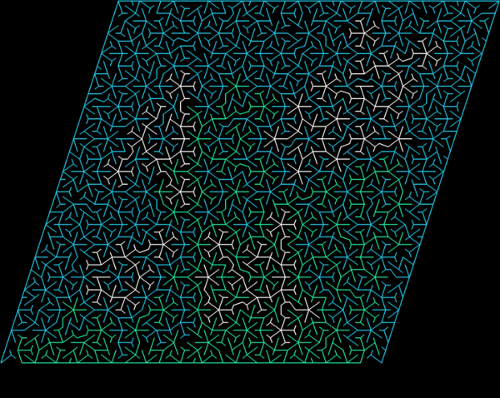 The mazes are random, but the tilings they are build on top of are constructed deterministically via the algorithm described here. Here is a picture of a resulting maze. It is colored to make the solution apparent. You can see the source code if you wish, but be warned - it’s not pretty. 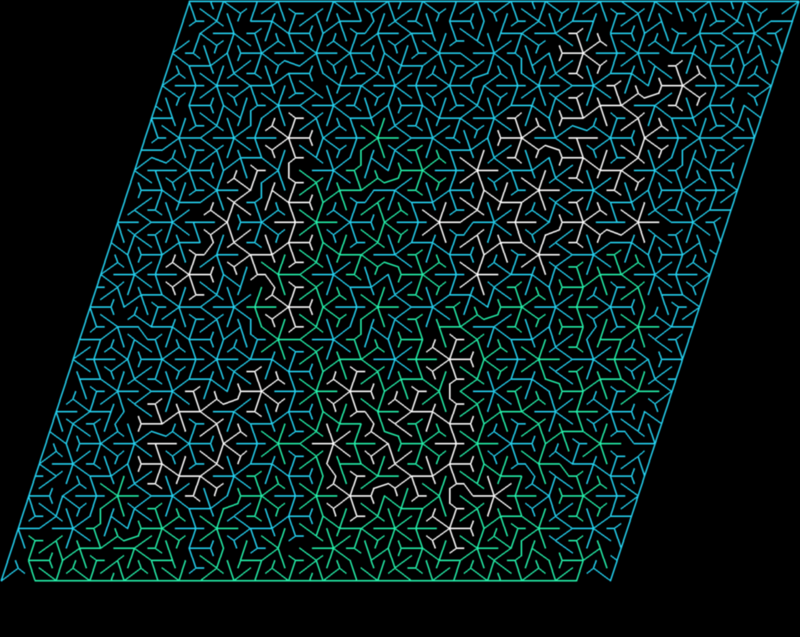 It is written in Python, uses Pygame, and the maze generation algorithm is breathtakingly inefficient.